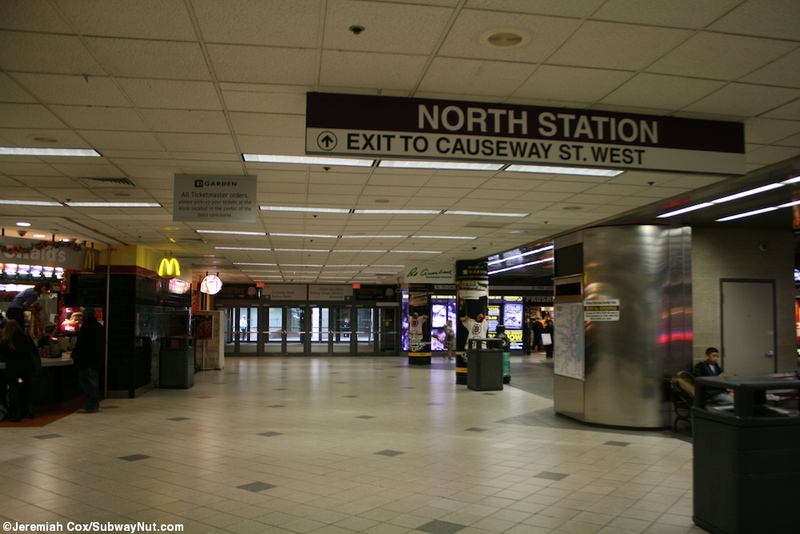 Boston North Station is slightly smaller and less impressive counterpart to its grand second Boston Station South Station on the southern side of downtown. 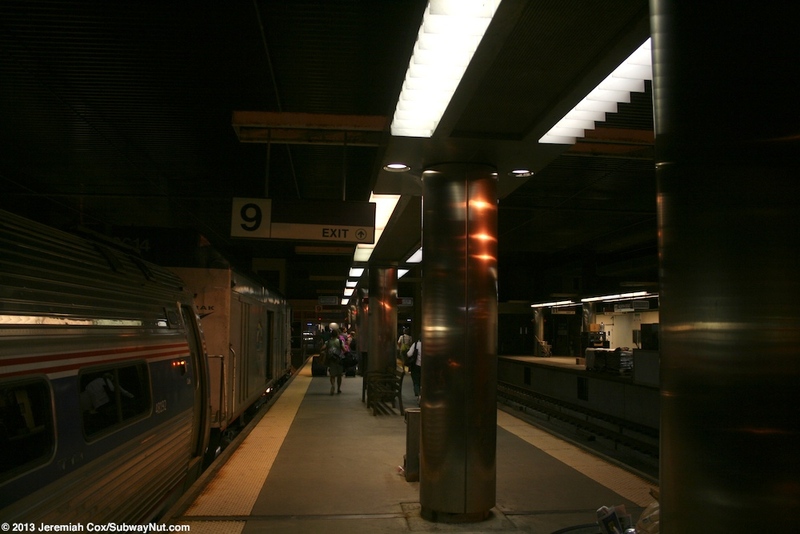 These two stations are completely separated from each other and proposals to build a north-south rail link have been rejected due to cost. 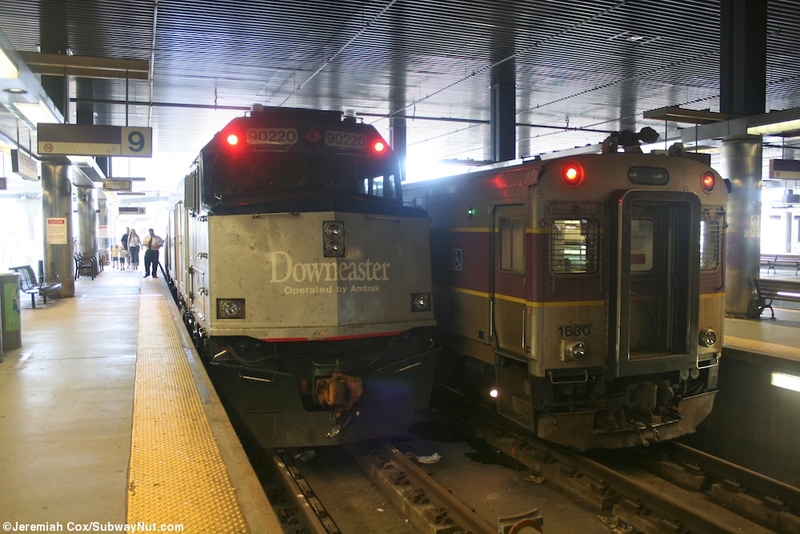 This makes the Amtrak Downeaster the only line that is completely segregated from the rest of the Amtrak system. 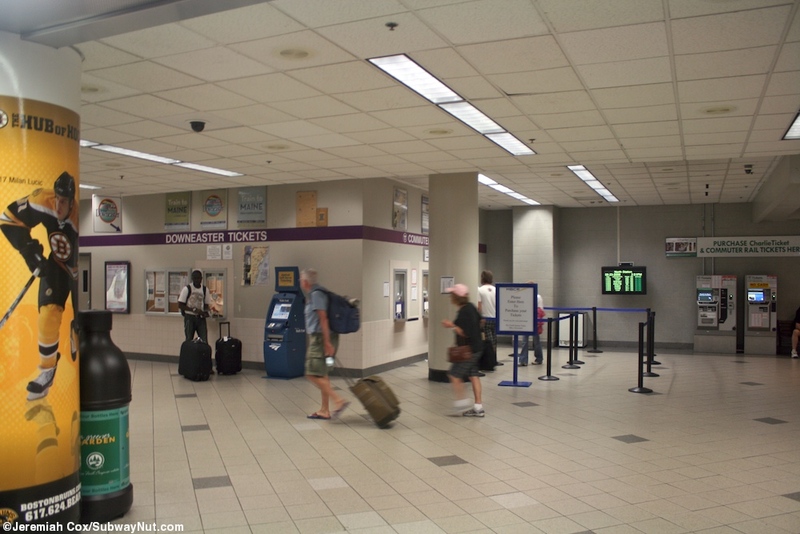 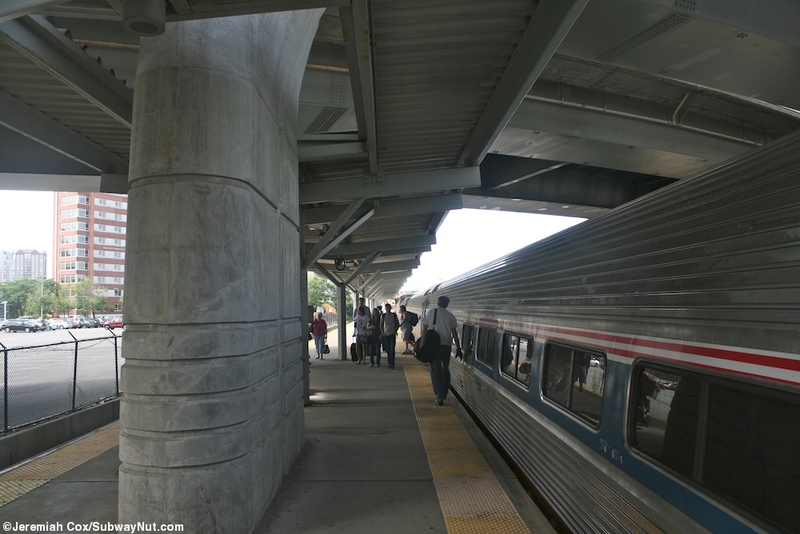 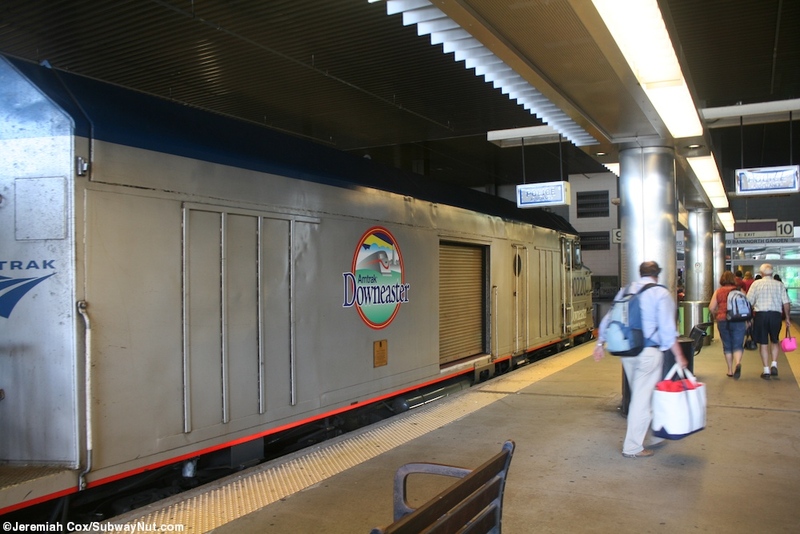 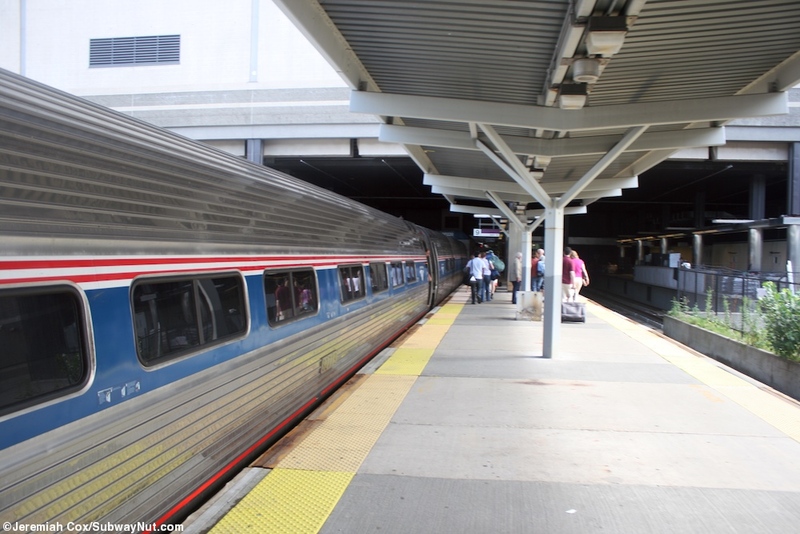 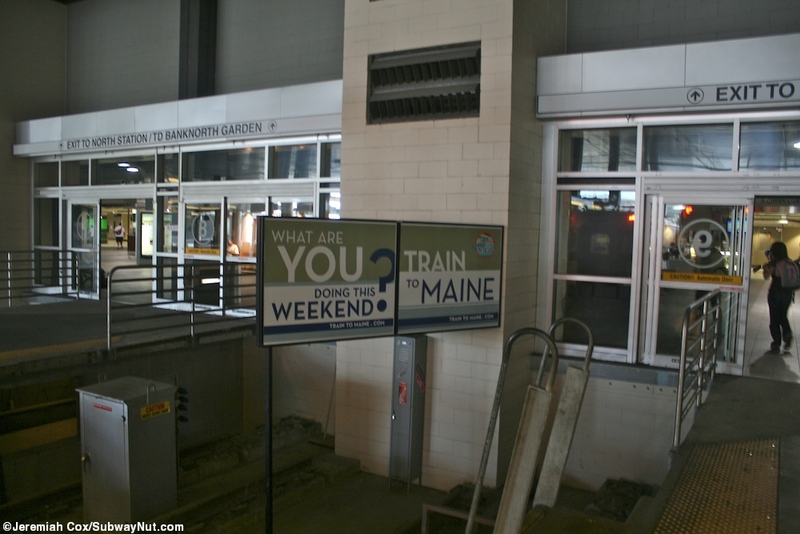 Amtrak will sell you a ticket from a Maine/New Hampshire destination to any station in the Amtrak System; you will just have to take a 'self-transfer' as the reservation system blocks it via taxi or the Orange Line (via Back Bay) at your own expense between stations. 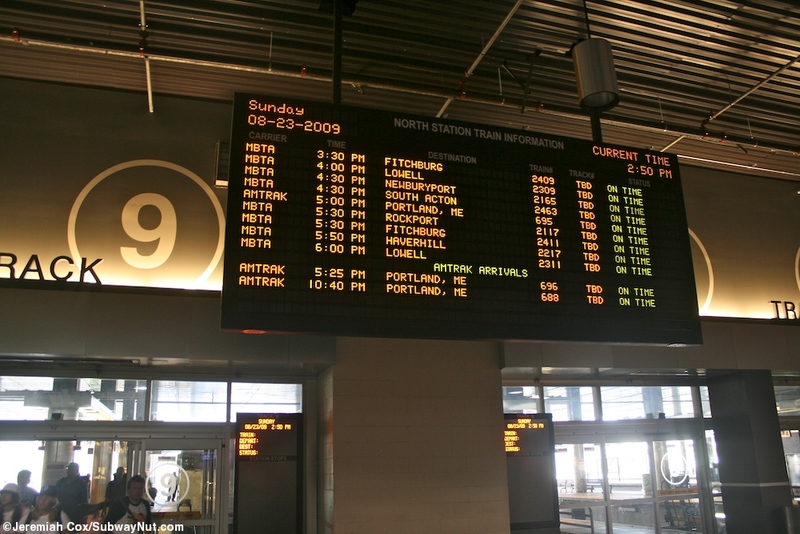 It also gives MBTA Commuter Rail two completely separate non-connected operations between north and south. 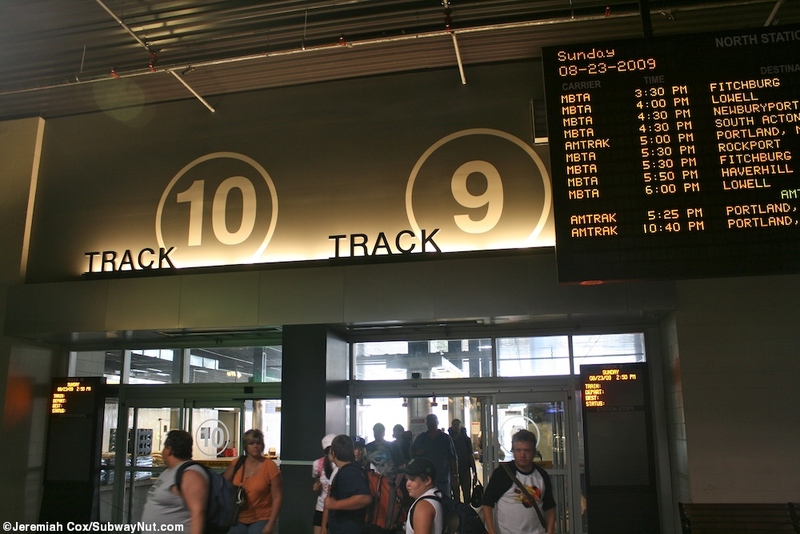 There is a slow and complicated routing around Boston that is used by MBTA and Amtrak for equipment moves. 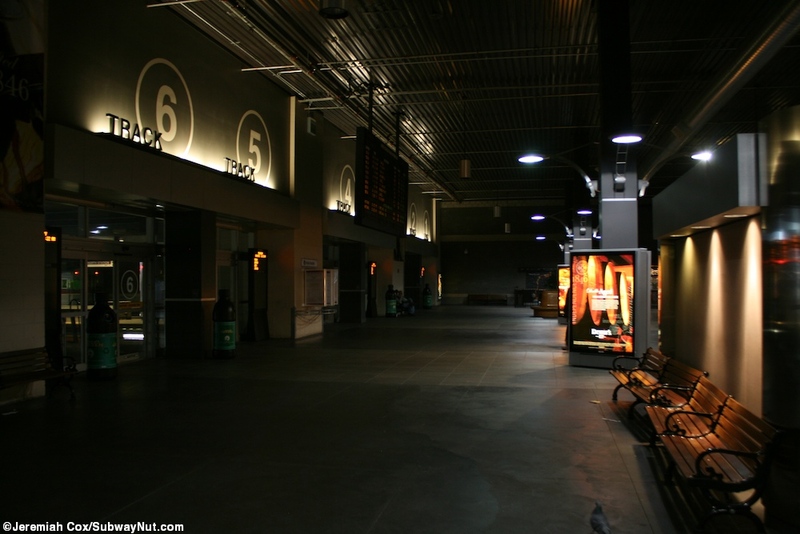 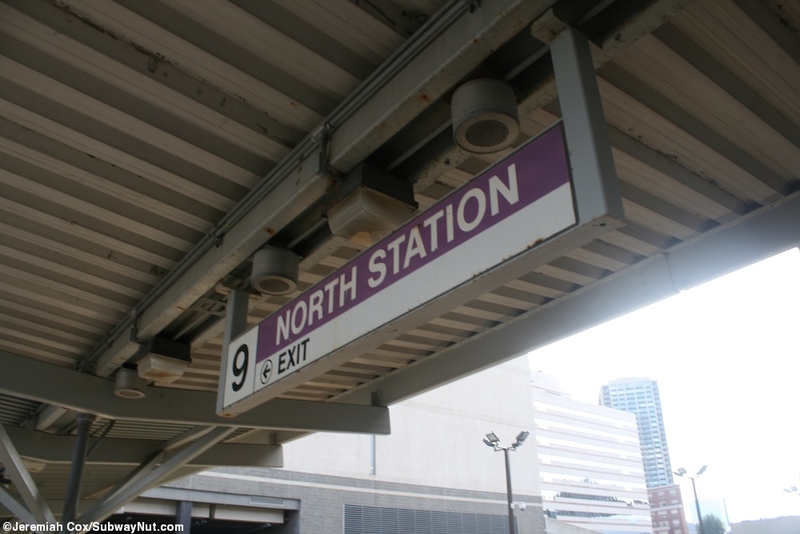 The passengers amenities at North Station itself are quite small for a downtown terminus. 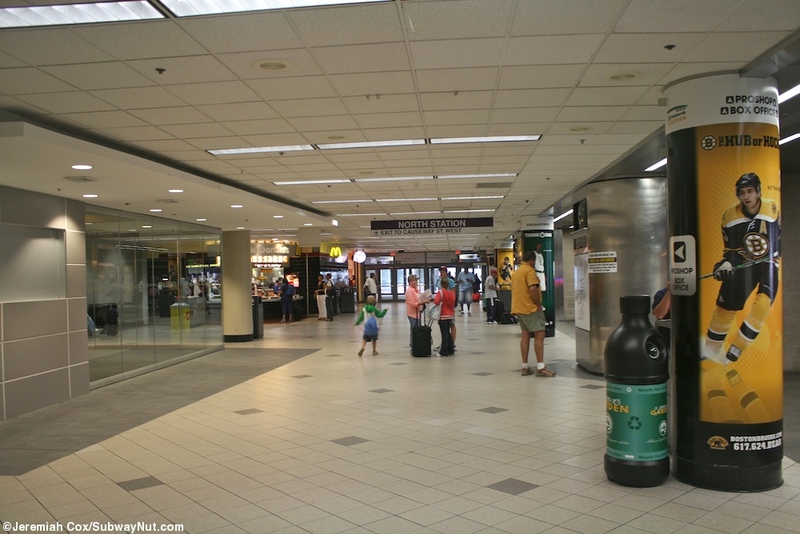 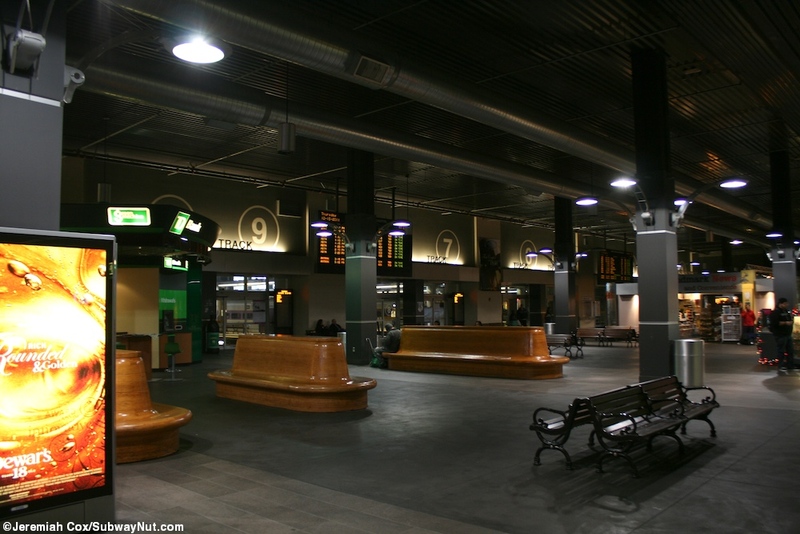 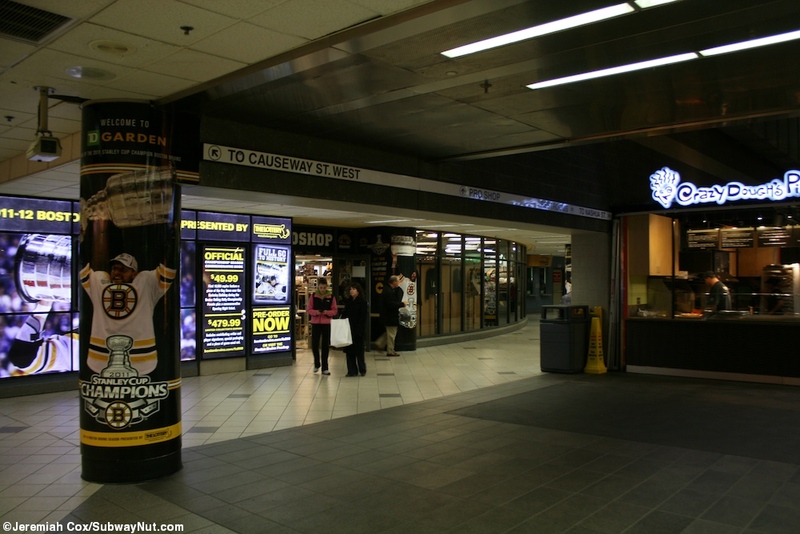 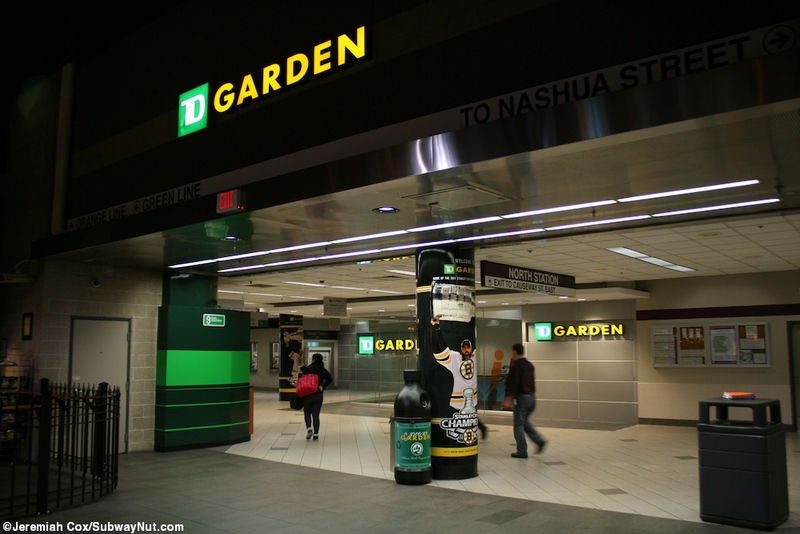 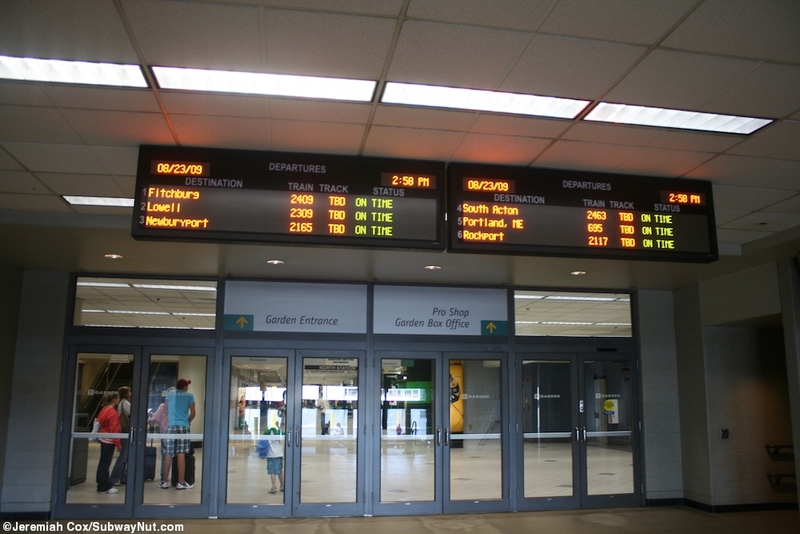 Its waiting area, small ticket office, and a few restaurants/concessions are located in a shared lobby with the Boston Garden that is above it. 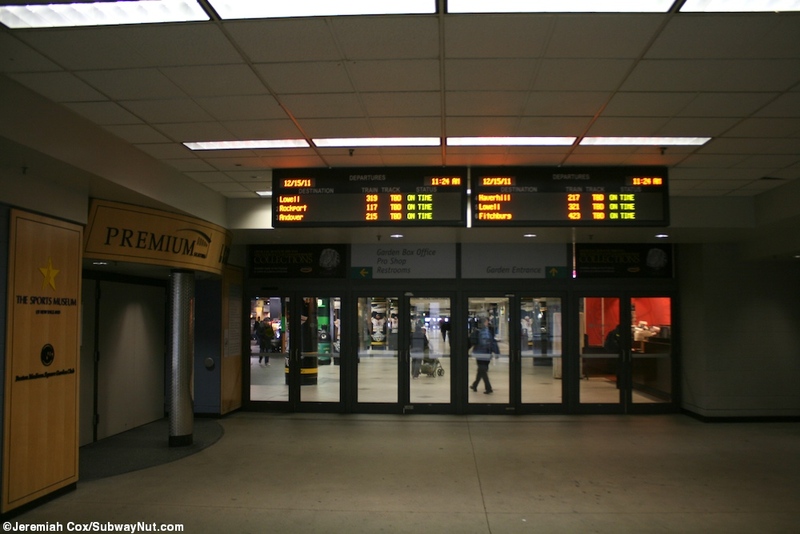 These in turn lead to doors out to the ten station tracks (5 island platforms) where the trains end at this dead-end station beginning at bumper-blocks. 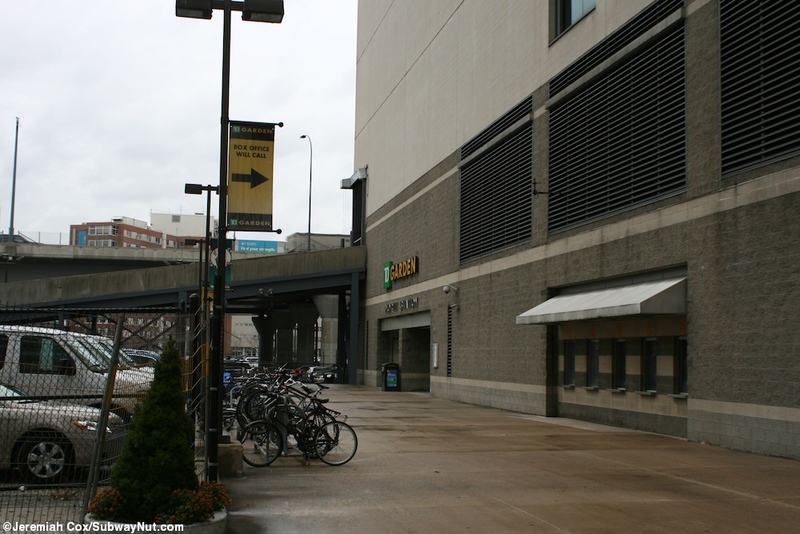 Most of the platform lengths are exposed to the elements except for those right near the station entrance due to the Boston Garden Above, there are highway overpasses (ramps to I-93 that cross above the tracks). 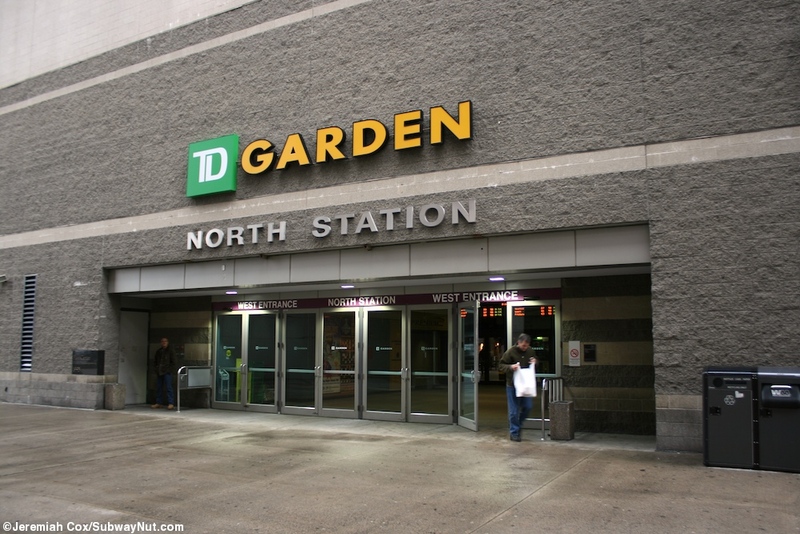 All trains run with their locomotives on the away from Boston end of the trains (Amtrak as well, using a Cabbage former F40 NPCU control unit at the other end) to avoid diesel fumes beneath the Garden.